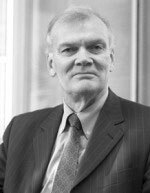 Professor McMahon worked across the UK while training, including positions in Sheffield, Birmingham and Cardiff before coming to Leeds in 1974 as a lecturer in Surgery at the University of Leeds and completing his specialist training. He currently holds positions as a Consultant General and Laparoscopic Surgeon, a Senior Lecturer in Surgery and Assistant Director of the Leeds University Department of Surgery. He is a past president of the Pancreatic Society of the UK and Ireland and the founder member of the society of Minimally Invasive General Surgeons. He was Chairman of the Education Committee of the European Association of Endoscopic Surgery. Currently he is Education Officer of the Association of Endoscopic Surgeons of the UK and Ireland, and a Royal College of Surgeons tutor in Minimally Invasive Surgery. Professor McMahon was the first surgeon in the UK to perform laparoscopic (minimally invasive) Gastric By-pass surgery. Professor McMahon qualified from Sheffield University in 1967. Professor McMahon has a special interest in gastrointestinal surgery including oesophageal and gastric diseases and hernia surgery. Professor McMahon has performed laparoscopic gastric banding, gastric stapling and together with Mr Simon Dexter, the first laparoscopic Roux-en-Y gastric bypass in the UK. Professor Mike McMahon does not hold a share or financial interest in this hospital, another Nuffield Health hospital or the company. Director, Surgical Innovations plc 4% shareholding (shares on AIM) Director, Cipher Surgical Ltd. Nominal 1% shareholding (options). Shares not publicly traded. Professor Mike McMahon does not hold any paid advisory role(s) at this hospital or on behalf of Nuffield Health.